Sarah Nader- snader@shawmedia.com Jacobs' Reilly Peltier pitches during the second inning of Wednesday's game against Prairie Ridge May 7, 2014. Prairie Ridge defeated Jacobs, 2-0. 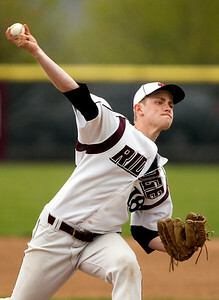 Sarah Nader- snader@shawmedia.com Prairie Ridge's Daniel Burris pitches during the second inning of Wednesday's game against Jacobs May 7, 2014. Prairie Ridge defeated Jacobs, 2-0. 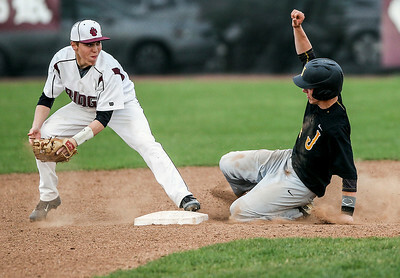 Sarah Nader- snader@shawmedia.com Prairie Ridge's Jackson Lasswell (left) holds onto the ball while Jacobs' Matt Kozlak slides into second base during t he fourth inning of Wednesday's game at Prairie Ridge High School May 7, 2014. Prairie Ridge defeated Jacobs 2-0. 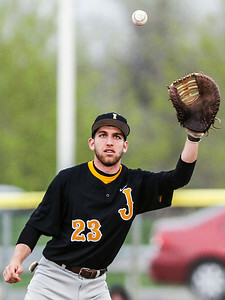 Sarah Nader- snader@shawmedia.com Jacobs's Ben Murray catches a pass during the third inning of Wednesday's game against Prairie Ridge May 7, 2014. Prairie Ridge defeated Jacobs, 2-0. Sarah Nader- snader@shawmedia.com Jacobs' baseball players celebrate after beating Jacobs, 2-0 at Wednesday's game at Prairie Ridge High School May 7, 2014. 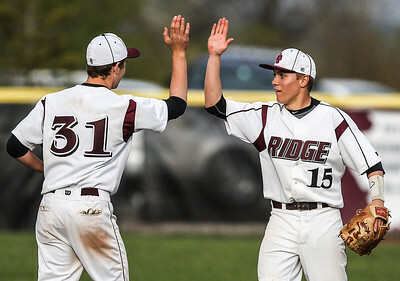 Sarah Nader- snader@shawmedia.com Prairie Ridge's Jackson Lasswell celebrates his a teammate after beating Jacobs, 2-0 at Wednesday's game at Prairie Ridge High School May 7, 2014. 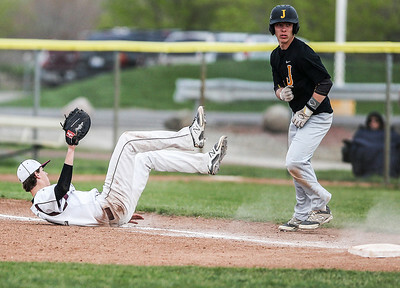 Sarah Nader- snader@shawmedia.com Prairie Ridge's Austin Covers (left) is knocked over while Jacobs' Matt Kozlak safely runs to first base during the fifth inning at Wednesday's game at Prairie Ridge High School May 7, 2014. Sarah Nader- snader@shawmedia.com Jacobs' Alec Thune safely slide back to first while Jacobs Ben Murray waits for the ball during the fourth inning of Wednesday's game at Prairie Ridge May 7, 2014. 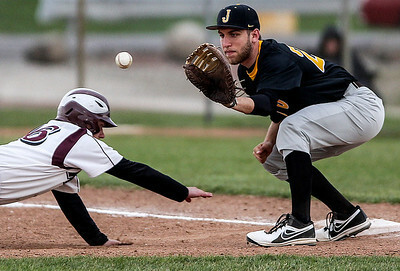 Prairie Ridge defeated Jacobs. 2-0. 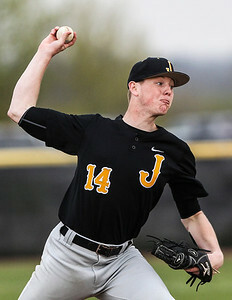 Jacobs' Reilly Peltier pitches during the second inning of Wednesday's game against Prairie Ridge May 7, 2014. Prairie Ridge defeated Jacobs, 2-0.